With a second possible government shutdown looming this week, our country faces a lot of uncertainty. 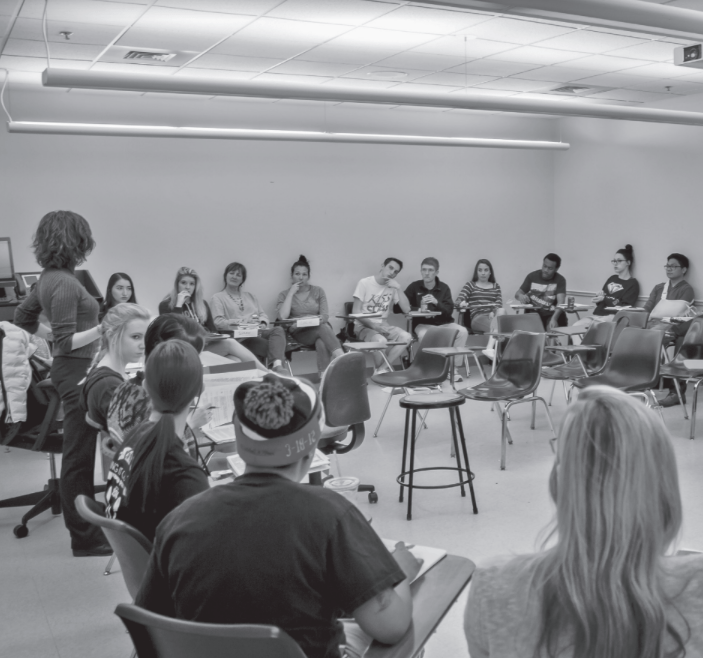 What is certain, however, is that both sides of the aisle, Democrats and Republicans, have to find a way to compromise on an issue that is directly affecting UCCS students. Last year, immigration was a hotly contested topic in the U.S. From President Trump’s proposed travel ban, which impacted residents from Iran, Yemen, Chad, Libya, Somalia and Syria, to DACA, the issue of immigration has been on the minds of students. Democrats feel that a solution for DACA needs to be found. Dreamers should be protected, and the program’s funding should not be allocated elsewhere, according to their stance. However, Republicans would like to reallocate DACA funding toward other avenues. President Trump has taken the stance that immigration should be heavily regulated, proposing a border along along Mexico. These differing opinions have largely contributed to the uncertainty of another government shutdown and to the shutdown that occurred on Jan. 19. But whatever you feel about immigration, our lawmakers need to stop leveraging and come to a compromise. On Jan. 19, 44 Democrats and 5 Republicans voted to block a government spending bill over concessions on immigration. The two parties could not come to an agreement on issues such as DACA and the border wall. A three-week spending bill was passed on Jan. 23, ending the shutdown. But the government could again shut down due to lack of compromise over immigration issues on Feb. 8. It’s not enough to agree to just disagree anymore. We need to have a conversation. As we saw in our Jan. 23 article outlining how Dreamers at UCCS have been impacted by the uncertainty of DACA’s further existence, students are worried about their further in the U.S. The conversation of immigration can be a tough one. No, we’re not in Congress. We can’t go to the Capitol and change this debate. But we can understand each other and create a dialogue to better our perspectives on immigration. Those students who were fortunate to be born as citizens in the U.S. will never understand what it may be like to come to a new country, learn a new language and assimilate into the unknown. However, even we have all agreed to disagree on this issue without conversing about it. In a conversation about just this editorial, our staff could not agree on what the call to action for immigration policy should be. Some believe that immigration needs to be more regulated, while others do not. It’s a complex issue to tackle at once. But let’s not take after the example of our lawmakers; let’s talk about this and unify.